Named for an easterly wind across the Mediterranean is the Maserati Levante. But unlike an invisible wind, the 2019 Maserati Levante is visually stunning and visceral. Four distinct trim levels comprise its 2019 SUV lineup, each with a progressively more dynamic luxury and powerful experience. 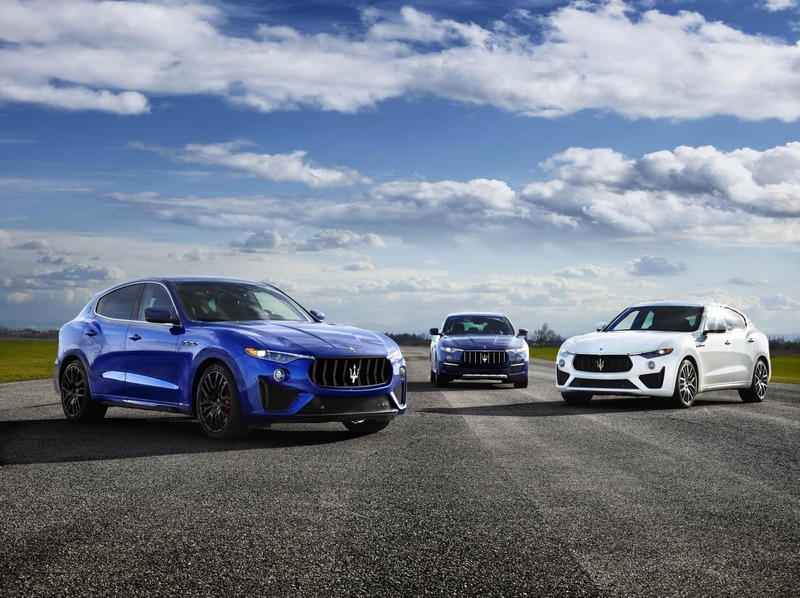 Discover the 2019 Maserati Levante models available from your Whippany, NJ Maserati dealer, Maserati of Morris County. Across every trim level, whether a V6 or V8 under the hood, the powertrain is built exclusively by Ferrari. Standard features across all trims include Adaptive air suspension, 8.4-inch Maserati Touch Control Plus with Navigation, 19-inch Zefiro aluminum-alloy wheels, and Q4 Intelligent All-Wheel Drive. Of course, heated front seats, Blind Spot Alert, and many other conveniences are standard equipment as well. Well equipped as the base trim, the 2019 Maserati Levante SUV commands respect from first glance. Its 345-hp twin-turbo 3.0-litre V6 engine means there’s never a situation you’re underpowered – never. Supple leather upholstery is standard with seven available colors. Available options for the Levante trim include perforated leather upholstery, ventilated front seats, Driver Assistance Package with Adaptive Cruise Control, 360-degree surround view camera and other ADAS systems, and available heated rear seats. Levante GranLusso incorporates heated and ventilated front seats, premium Harman Kardon audio, rear spoiler, open-pore wood trim and an industry-exclusive silk and leather upholstery. Further, Levante GranSport goes for a race-bred appearance with gloss-red brake calipers, 20-inch wheels, 12-way power front Sport seats, and unique body accents. The Levante S makes a bolder statement yet with 424 horsepower, clearly staking its claim to the fast lane. Standard features very much reflect those of the Levante trim including Apple CarPlay and Android Auto in the Maserati Touch Control Plus system, Skyhook performance suspension with electronic damping, and bi-xenon headlamps. And like the Levante, the 2019 Maserati Levante S offers GranLusso and GranSport variants with similar add-ons. Meant as an ultimate touring SUV, the Levante GTS does not disappoint. Its 550-hp 3.8-liter V8 engine sprints to 60 mph in just 4.0 seconds and maxes out at 181 mph. Standard 20-inch wheels accentuate its sportiness on the exterior. Inside, a premium experience is delivered. Choose from eight fantastic leather upholstery options for heated and ventilated power front seats and heated rear seats. Upgrade to an available Bowers and Wilkins surround sound system, four-zone automatic climate control, power rear side sunblinds, and several other elegant options. At the pinnacle of performance luxury SUVs, you’ll find the 2019 Maserati Levante TROFEO. Its 590-hp V8 engine flings it to 60 mph in just 3.7 seconds with sure-footed traction from Q4 AWD. Adaptive LED matrix headlamps, 22-inch wheels, Integrated Vehicle Control driving dynamics, and Corsa Drive Mode with Launch Control are just a few of its unique standard features. Finished with carbon fiber weave, Pieno Fiore natural leather, and Trofeo badging, people will take notice whether you’re standing still or flying past. Beyond the features and specs, there’s something about the 2019 Maserati Levante you’ll only get from a test drive – the experience. 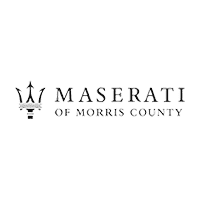 In Whippany, NJ, your Maserati dealer is Maserati of Morris County. Schedule a visit to discover the 2019 Maserati Levante models for yourself.